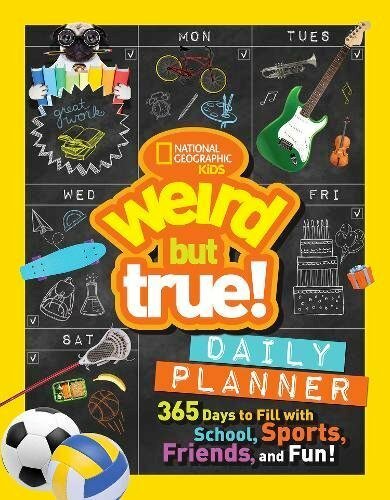 Getting organized is one of the most important keys to success, and National Geographic Kid Weird But True Daily Planner is a perfect start. This amazing book is so much more than a planner. It’s like an imagination station. The opening page encourages kids not only to jot down their name and contact information, but it asks for “weird” information, like “What do you smell like right now?” and “Write your own weird but true facts about yourself.” This clever beginning should lend to fond memories weeks or months down the road as kids remember that they smelled like bananas or gym socks — or whatever smell they happened to jot down at the beginning of their school year. 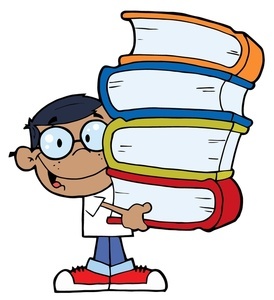 Like all good planners, this one is organized by days, months and school schedules, including the names of homeroom teachers and classroom numbers. Each month opens with a weird or random fact (like how many beaches Antigua has; how many millions of years cockroaches have been alive; and what the stringy parts of a banana are called). Each page is designed with plenty of room for journaling, note-taking, and listing goals for the month. In the meantime, kids learn a lot about…well, everything. Like how black cats are considered good luck in England, the first artficial Christmas tree was made of green goose feathers, and how it is possible for it to snow without any clouds in the sky. Who knew? The planner is spiral bound for easy page turns, and the font is decorative, colorful, and large enough to avoid eye-squinting of any kind. The paper stock has a grayish tint that repels glare — a necessity for easy reading, and the illustrations are just what you expect from National Geographic: only the best. Use this fun book to help individuals or entire classrooms to get organized, use their imaginations, and write, write, write! This makes a great birthday or back-to-school gift that helps children organize their classes, their thoughts and their lives.